A&S Mini-Bagels are pictured above. A&S Mini-Bagels are baked using the traditional method of making bagels. 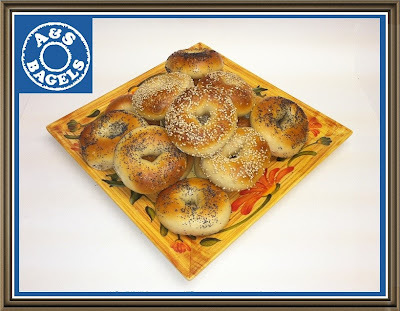 The traditional method of baking bagels is to first boil the raw dough, before baking the bagels.